Two ballads. 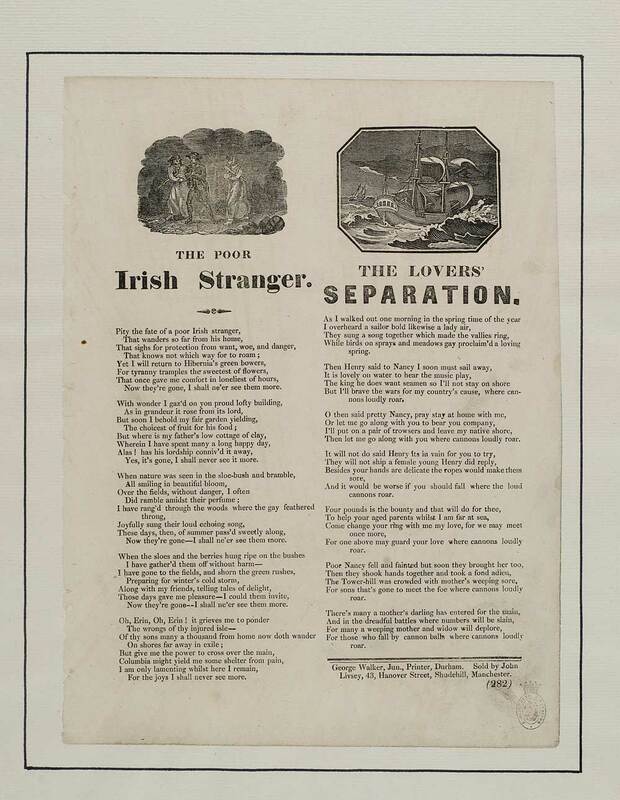 The poor Irish stranger - first line reads: Pity the fate of a poor Irish stranger. The lovers' separation - first line reads: As I walked out one morning in the spring time of the year.